Coldplay tribute to Beastie Boys’ MCA – music. travel. repeat. 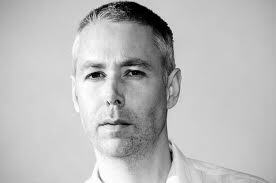 The music world lost an icon this week with the passing of Beastie Boys Adam “MCA” Yauch. When they released their first album, the legendary License to Ill, in 1986 many people had trouble taking this trio seriously. Some of that came from their sophmoric humor and antics, some came from the fact that it was three white kids from NY trying to fuse rock and roll and burgeoning rap music genre. The result however was pure innovation that paved the way for so many others and in many ways led to the music we see so often today which mixes hip hop, rock and dance. Their influence went far and wide, and that is exemplified below in a beautiful tribute by Coldplay on May 4, 2012 at the Hollywood Bowl. Just another reason to love Coldplay too. Previous Post Previous post: When was the last time you went busking?? ?